Throughout the month of December, members of the Prince George's County Fire/EMS Department participated in several holiday events to benefit members of our communities. Toys for Tots and the Public Safety Food Baskets are just two examples where our civilian, volunteer and career members are provided with opportunities to interact with County residents in a festive and joyous fashion. There are occasions when members of the community may not have been able to participate in these charitable events but our firefighter/medics become aware of their situation through incidents, word-of-mouth or family members. 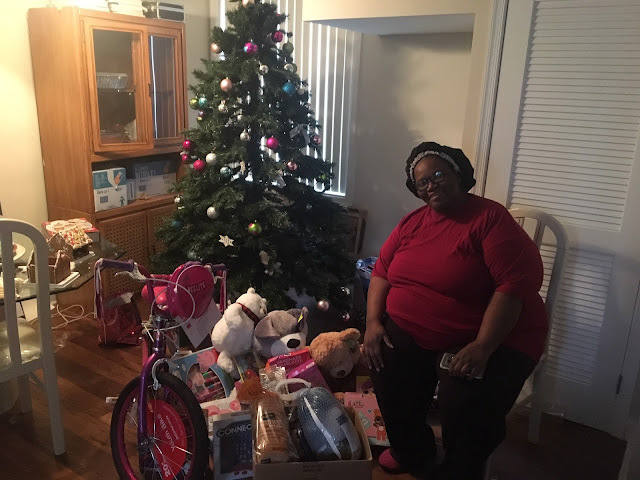 The Department's First Battalion became aware of such a family and were able to present toys and food that will enable a Landover family, including 6 and 9 year old girls, to enjoy a festive Christmas Day. 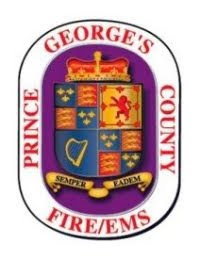 The Prince George’s County Fire/Emergency Medical Services Department regretfully announces the death of a man that had sustained critical burn injuries earlier this month. Just before 3:00 pm, December 5th, an adult male employee of an auto parts store had just completed removing a fuel tank off of a vehicle. When the man walked near an open flame (from a burn barrel being used for warming) the fuel vapors ignited causing burn injuries to about 75% of his body. Bystander’s extinguished the fire. Firefighter/Medics arrived on location in the 9100 block of Allentown Road in Fort Washington, initiated treatment and summoned a helicopter to fly the man to the Burn Unit at Medstar Washington Hospital Center. 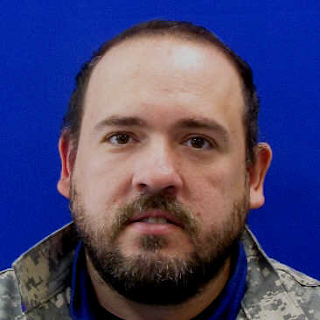 Christopher Terry, 51 years of age, from Clinton, Maryland. A man was arrested for setting fire to a College Park commercial strip center early this morning. Just before 2:00 am, Friday, December 14th, firefighters arrived at the scene of a 1-story commercial structure that several businesses occupy in the 10000 block of Rhode Island Avenue. Units arrived to find fire showing from a middle of the row business. The well-advanced fire extended to attached businesses on both sides before being extinguished. The building of origin is a mental health facility going by the name of “On Our Own”. The fire was quickly extinguished and no injuries were reported. Personnel form the Fire/EMS Department Office of the Fire Marshal determined the fire was incendiary in nature. Fire loss was estimated at $250,000. Shortly after firefighters arrived on the scene a suspect was identified and taken into custody by law enforcement officials. A Laurel, Maryland, home suffered significant fire damage and the family has been displaced after a fire started accidentally in a bathroom exhaust fan. Just after 5:00 pm, Friday, December 7, 2018, firefighters responded to a report of a fire in a 2nd floor bathroom at a townhouse in the 7600 block of Woodbine Drive. An investigation revealed that the fire originated in the ventilation fan located in the ceiling of the bathroom. The fire spread into the attic area generating an estimated $50,000 in fire loss. Fortunately there were no injuries. Exhaust fans are found in most residences and many commercial properties to help prevent steamed up mirrors, damp walls, and fogged windows along with removing odors. However, they can also present a potential fire hazard if not cleaned and maintained on a regular basis. Fans, over time build up lint which can cause the motor to overheat and ignite the lint, plastic fan blades and the nearby combustible wood structure. The speed at which the lint builds up is a function of the amount of use and the amount of particulate in the air in which it operates. These fans are not designed to last forever and many are original installs. Older exhaust fans are not thermally protected. Thermal protection causes the motor to shut off should they seize and overheat. This safety feature has been available since the late 1970’s, but was not widely used until the early 1990’s. 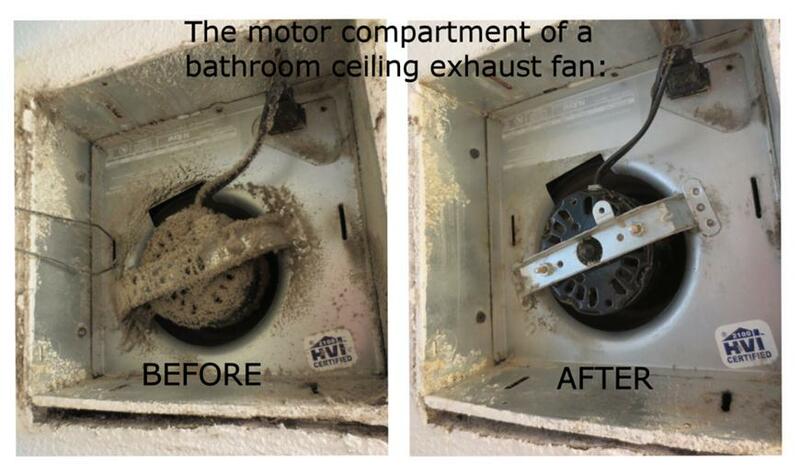 If you have a bathroom exhaust fan in your home, clean it twice a year. If it starts to make noises or smells odd, it’s time to replace it. The following photos demonstrate exhaust fans that need cleaning to prevent overheating and possible unintentional fire in your home. · Inspect and clean all bathroom exhaust fans as necessary and per the manufacturer’s recommendations, be sure to place on a regular cleaning schedule. · When cleaning, remove the fan cover to clean and remove lint from around the motor, paying careful attention to all air-flow areas. · Wash the fan cover in warm soapy water to remove all lint. If there is any mold growing, add bleach to the cleaning mixture. Make sure the cover is completely dry before putting it back up. · If some fans are not easily accessible for regular cleaning, or appear to have evidence of heat damage, or do not turn freely, they should be replaced with thermally protected units. · Please remember that bathroom fans should only be used for brief periods of time, such as during a shower. Many people run them excessively or even forget that they are on. Consider installing a timer switch instead of a manual switch to limit the unnecessary use of the fan. Turn off all fans as soon as they have done the job. · Consider replacing older models with new exhaust fans with thermal protection. · Turn exhaust fans off at night and before you leave the house. Install 10-year smoke alarms and, if needed, a carbon monoxide detector on every level of your home (Maryland Law) and consider installing smoke alarms in every bedroom and sleep with your bedroom door closed. Many thanks from pgfdpio to countryside fire district, fire protection association case forensics John Hall, Soraya Mclaughlin on positively Naperville, mini mops and the Rancho Cucamonga fire district as contributors to this information. 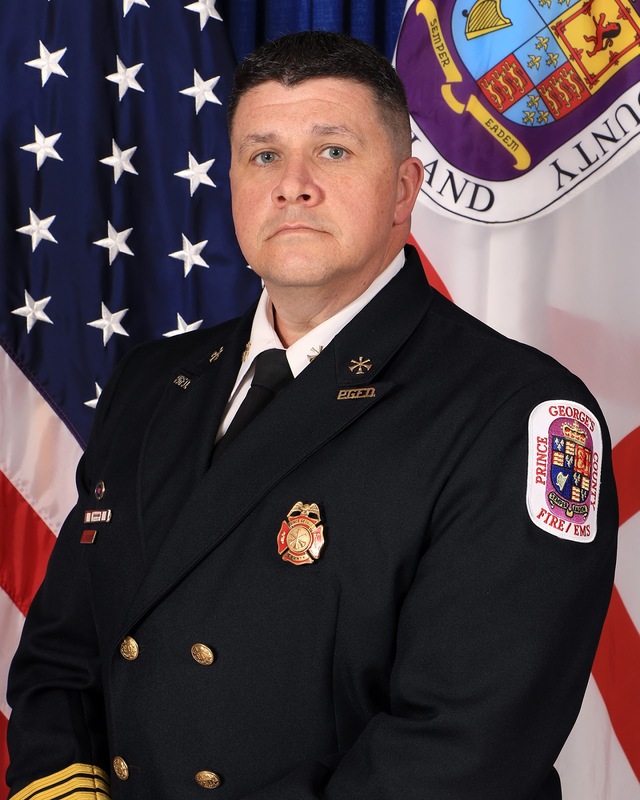 The Prince George’s County Fire/Emergency Medical Services Department is pleased to announce that The Commission on Professional Credentialing (CPC) met Tuesday, October 2, 2018, to officially confer on Assistant Fire Chief Gary L. Krichbaum the designation of “Chief Fire Officer” (CFO). Assistant Chief Krichbaum is one of about 1,300 CFO’s worldwide. The CPC awards this designation only after an individual successfully meets all the organization’s stringent criteria. The process includes an assessment of the applicant’s education, experience, professional development, technical competencies, contributions to the profession, association membership, and community involvement. In addition, all applicants are required to identify a future professional development plan. The CFO designation program uses a comprehensive peer review model to evaluate candidates seeking the credential. The CPC, an entity of the Center of Public Safety Excellence, Inc., administers the CFO designation program. The CPC comprises individuals from academia, federal and local government, and the fire and emergency medical services professions. Krichbaum has over 24 years of service with the Department and currently serves as Commander of the Fire/EMS Training and Leadership Academy. An adult male sustained critical burn injuries at a Fort Washington auto parts store this afternoon. Just before 3:00 pm firefighters and medics from the Allentown Road Fire/EMS Station 832 were alerted to respond to an auto parts store in the 9100 block of Allentown Road. Upon arrival they found a man with critical burn injuries about the majority of his body and a fire that had already been extinguished that involved a vehicle gas tank. Medics initiated treatment and summoned the Maryland State Police Trooper 2 to fly the critically injured man to a Burn Unit. The Fire/EMS Department’s Office of the Fire Marshal is investigating the cause of the fire. At this point the cause is under investigation and the man is in critical condition.